509 goggles include a large removable rubber nose mask. This mask completely covers your nose and extends to cover parts of your cheeks as well. This added protection blocks biting wind & stinging snow roost from battering your exposed nose and cheeks. Say goodbye to cold, red noses after a long days ride. Our unique design allows you to easily install or remove the mask in a matter of seconds. When installed it stays securely fastened and WILL NOT fall off while in use. It is made with a rigid plastic upper frame which acts as a secure mounting base. Below this thin base is the heart of the mask which is made of a reflexible rubber. The flexible rubber design allows you to easily put on the goggles without catching on your helmet. 509 goggles have the most comfortable foam in the industry, bar none. They feature a triple layer design, which consists of three layers of moisture wicking foam. These layers have a varying density which work together in wicking moisture away from your face and preventing moisture from entering inside the goggle. We have also added oversized foam. This wider foam extends beyond the frame of the goggle, providing a larger footprint. This extra foam fills any air gaps in between the goggle and the helmet, blocking cold wind from hitting exposed skin on your forehead and cheeks. We also increased the thickness of the foam to 20mm. 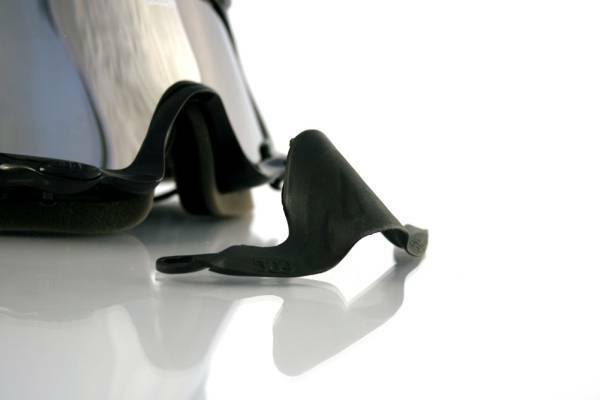 At just shy of 1 inch our foam provides the most comfortable fit on the market. 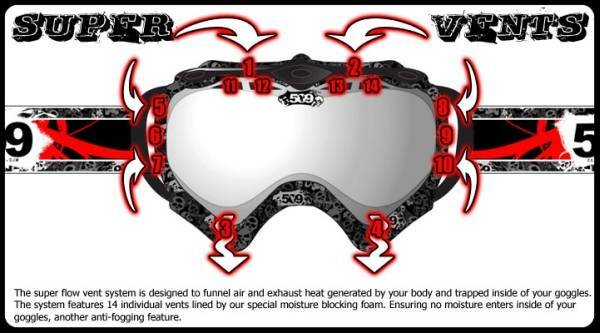 509 goggles come standard with a dual pane cold weather specific lens. The standard lens has a yellow tint, which is great for low light and definition, and a chrome finish. The chrome finish is not just for looks. It refracts bright sunlight away from the goggles. We improved the optics for 2009 by creating a curved spherical lens which precisely matches the curvatures of the goggle frame. This improves the optics by minimizing light distorting. All 509 lenses include four foam lined ventilation ports, 100% UV blocking, anti fog & anti scratch coating, and shatter proof material. All lenses are replaceable and interchangeable. They are available in 11 colors for a variety of different weather conditions. 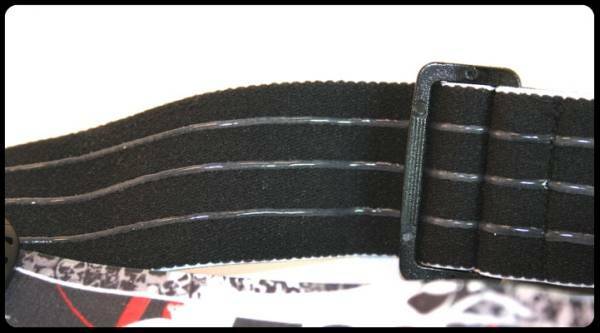 A triple silicon lining on the inside of the strap, keep the strap and goggle in place. No more constant adjusting. Set the strap where you want it, and it holds firmly in place all day long, ensuring your goggles are evenly held against your face. Straps are available in six different straps. All interchangeable between every goggle we make. 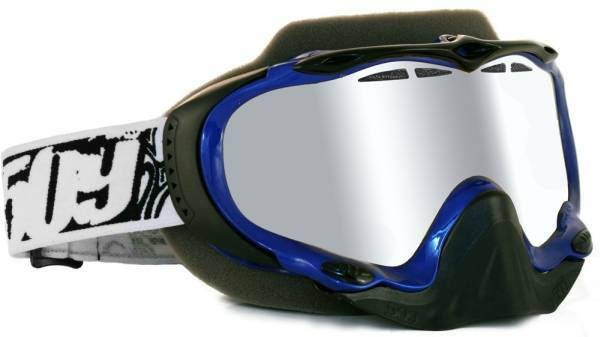 Ventilation is key in a snowmobile specific goggle. Too much ventilation makes for a cold day. Not enough and you'll have fogging issues. We engineered 14 vents across the top, sides, bottom, and lens which create a continual flow of cool comfortable air, thus exhausting all the hot air out the bottom of the goggle. This provides for a controlled climate inside the goggle, keeping you comfortable and fog free.